“Deep in the woods, where fairies and sprites, imps and ogres still exert power over mortals, stands a castle. . . “. While growing up, Beauty and the Beast was one of my favorite Disney movies, and now it’s one of our children’s favorites. I was introduced to the original story (children’s version) by the Dallas Children’s Theater because they are currently performing this play based on the book. When we bought tickets for our kids’ birthday celebration, I started to read the book to Christian and Victoria to prepare them for the plot that does not include Gaston, Lumiere, Cogsworth, Mrs. Potts or Chip. At first, I was concerned that the kids wouldn’t find the book or play as entertaining as the movie, but to my delight, we all enjoyed both immensely. (I prefer to read a book before seeing its movie version so that the kids can imagine the characters and setting for themselves; however, that’s not always possible. In this case, the reversed order was still a success, which speaks to the strength of the original writing.) When the kids and I would finish several short chapters before bed and need to stop reading for the night, we felt as though we had pushed pause on a great movie, and we couldn’t wait to get back to it the next night and push play again. Once we finished the book, we saw the production by the Dallas Children’s Theater. The play was (better than) the icing on the cake, as seeing their creative rendition made the book and their birthday forever memorable. “Jeanne-Marie le Prince was born in Rouen, France, in 1711. In 1743, she married a man named Beaumont. . . . In 1756, she wrote her own version of ‘Beauty and the Beast’. The original story by Madame Gabrielle de Villaneuve had been written for adults. Beaumont’s version was aimed at a younger audience. Beauty‘s character is true to Belle’s (French name, meaning beauty) in the Disney movie. She is gracious, smart, and kind. She’s the youngest of three girls. Her older sisters, Elise and Renee, are similar the sisters in Cinderella– cruel, jealous, prideful, and selfish. Throughout the story, they only do harm to her. Her two brothers are minor characters in the story. Beauty’s father is a merchant whose luck sinks, literally. His merchandise is lost at sea and what isn’t lost, is stolen. The family goes from riches to rags. When they move from their extravagant city home to a house in the country, the only one content with their situation is Beauty, for she cares more for her father than she cares for the fortune. Her character is so golden that her suitors still call on her in spite of her lack of fortune. The Beast is actually kind-hearted from the start of the story. It’s not until the end that we learn an evil fairy turned him from a Prince to a Beast because he chose not to marry her. The Beast is gruff and grotesque is his speech and looks; however, he is generous and good. When Beauty’s father happens upon the enchanted castle while lost in the forest, no one greets him, but once inside, the roaring fire warms his cold hands, the feast on the dining room table fills his empty stomach, and the cozy bedchamber gives him rest for the night. Rejuvenated, the merchant leaves to return to his family, picking one red rose on the way out so he could give it to Beauty. This act brings the Beast out! “‘What is the meaning of this?’ came a ferocious voice from right behind him. Hovering menacingly near the merchant stood a horrible Beast. The merchant nearly fainted from the shock of seeing such a huge creature. The Beast resembled a man, stood upright, and was well dressed, but nonetheless, was a monster. ‘How ungrateful you are, sir!’ the Beast said in a frightful voice. When Beauty’s father asked for forgiveness and explained that he picked the flower to give to his daughter, the Beast became curious to meet her. Thus begins the story with which we are most familiar: Beauty takes the place of her father by going to the castle and staying with the Beast. The Beast shows upfront that he is generous by allowing the father to fill a treasure box with treasure and goods, which magically is transported to his home. The family’s fortune is restored. Beauty quickly sees the Beast’s kind nature as everything she wishes, he makes come true for her during her stay. After many marriage proposals, a trip home to see her father and family, and the near-death of her friend, the Beast, the story closes with her acceptance of his proposal, thus breaking the spell from the evil fairy. Beauty and the Prince marry, and when the opportunity comes to exact justice on her two hateful and envious sisters, Beauty asks that they be unharmed, again proving her true beauty. F- How would you feel in an enchanted castle? Scared, curious, excited . . . and why? R- Can you relate to the sisters’ feelings of jealousy? When have you felt jealous and why? I- Imagine being able to fill up a treasure box. What would you put in it? 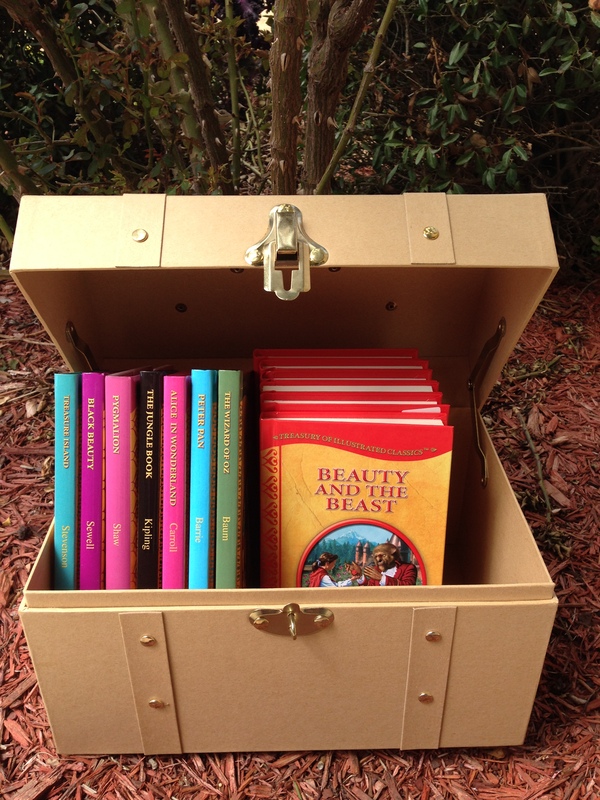 E- Explore your enchanted castle by drawing and coloring a picture of what you imagine. signs from the castle to his cottage home. D- Develop a chapter in the book in which the sisters change from being mean to kind. What helps them change their attitude? S- Share other treasured classics shown below. Share the experience with your family by going to a play at a children’s theater in your area! Don’t miss the next blog as I will share birthday party plans, including crafts, cupcakes, decorations, and details for a Beauty and The Beast party. Subscribe to Kidsbookfriends by submitting your e-mail address in the “Follow this Blog” section on the main page of the blog. Excited to have you on this journey! Check out http://www.dct.org for productions. 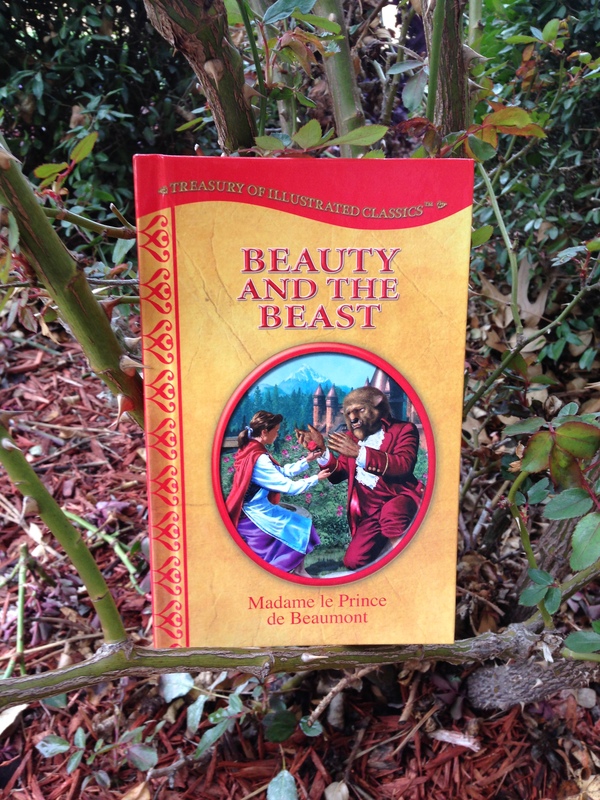 This entry was posted in fairtytales and tagged Beauty and the Beast, evil spell, fairy tale, forgiveness, inner beauty, love, moral story, roses. Bookmark the permalink. Thanks Catherine. 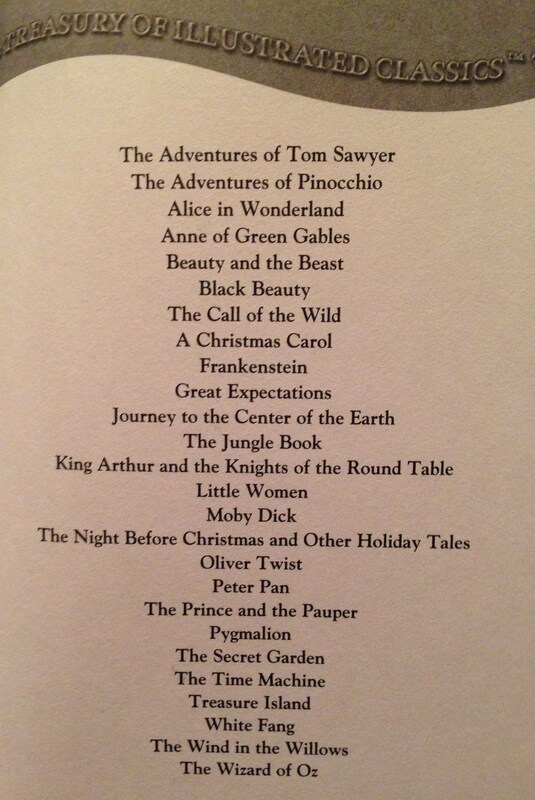 You’ll have to let me know which books your kids enjoy most!